With the environmental credentials of traditional internal combustion engines and especially diesel much maligned following the Dieselgate scandal, vehicle manufacturers are increasingly switching to low and zero emission alternatives. Petrol power emits higher CO2 levels, and so has led manufacturers towards diesel, which emits less and therefore helps them achieve a lower overall carbon footprint with their fleets. However, this has resulted in other consequences with higher levels of nitrogen oxides (NOx), which are now known can cause serious health issues and have been linked to further air pollution issues. 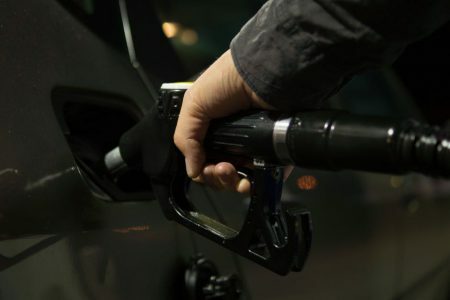 Yet due to EU economy regulations, diesel helps carmakers meet strict guidelines, meaning their hands are tied when it comes to fuel technology. With these restrictions tightening further, manufacturers are now left with lots of diesel power, and nothing they can do with it. Some manufacturers are trying to develop technology that will allow them to continue running petrol vehicles, with Mazda launching a new engine, the SkyActiv-X, which does away with spark plugs and works on the same principle as a diesel, using compression to produce the ignition of fuel and therefore making the engine more efficient and less polluting. Now, vehicle technology and systems provider Delphi has developed a fuel saving technology using petrol, which would improve efficiency figures without the risk of further pollutants. The company believes that combining two emerging technologies can boost petrol efficiency, possibly by as much as 19%, bringing them in line with diesel, while preserving the low-end torque that diesel drivers are accustomed to. Delphi’s proposal combines its 48-volt mild hybrid system with a new type of cylinder deactivation it calls Dynamic Skip Fire. Both systems are ready for production, Delphi says, though neither is likely to arrive before 2020. The 48-volt system and Dynamic Skip Fire can be used separately but complement each other by increasing engine efficiency at both low and high speeds.